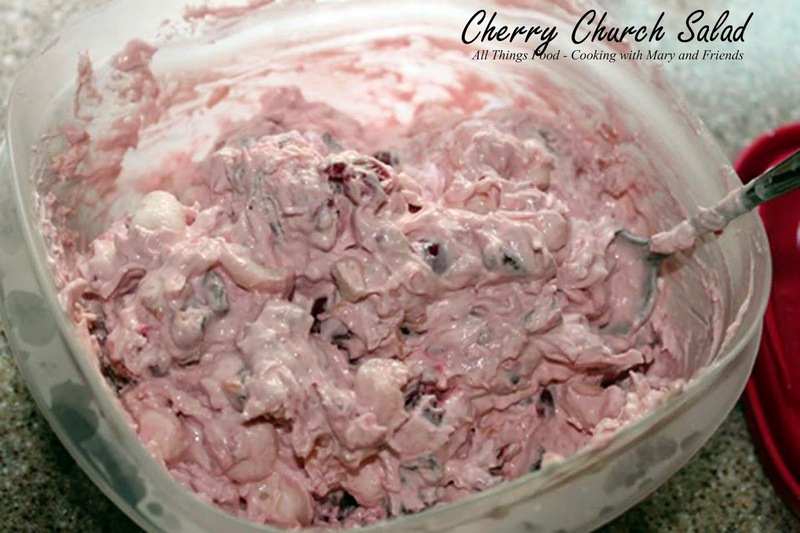 Although it's called Cherry Church Salad, it's fondly known as "pink stuff" in our house! It is a light, delicious summer side dish, perfect for all types of backyard barbecues or gatherings. Toss all ingredients together in any order in a large mixing bowl. Stir until combined. Chill for an hour or 2 before serving. (Always better the next day)!